A brief is a specific statement about a particular matter. It can be considered as a summary that discusses a topic or a subject in an outlined form or at its minute details. There is a wide range of brief types that can be used in professional industries, marketing activities, sales processes, project summary for construction, client meetings, and design or artistic undertakings. 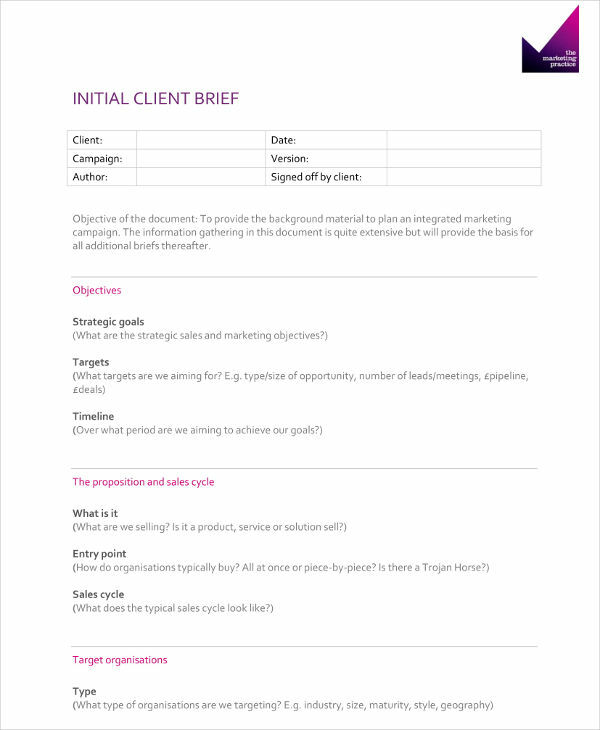 If you are having a hard time in creating a brief for a project, a design, or any kinds of presentations, you can make use of our brief templates and examples as your guide. Having references can help you write a brief in a more efficient way based on the current needs and demands that you need to fulfill. 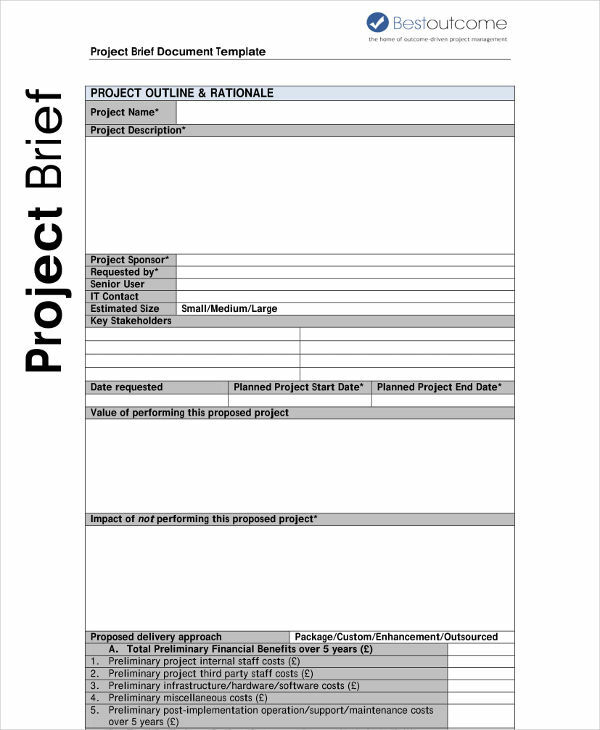 Why Do You Need a Project Brief? Having a project brief can help clients and businesses set the right foot when it comes to transacting with one another. At first, there are different kinds of expectations on how project activities will be done and how the end product is desired to be. Through a project brief, all entities within a particular project can collaborate on what is needed to be prioritized and the common ground where project decisions must be made. 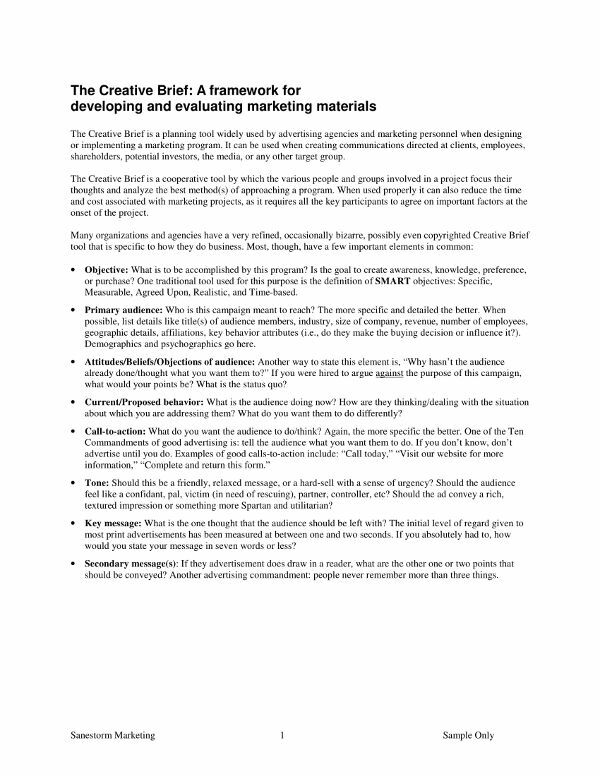 You may also see marketing brief examples. 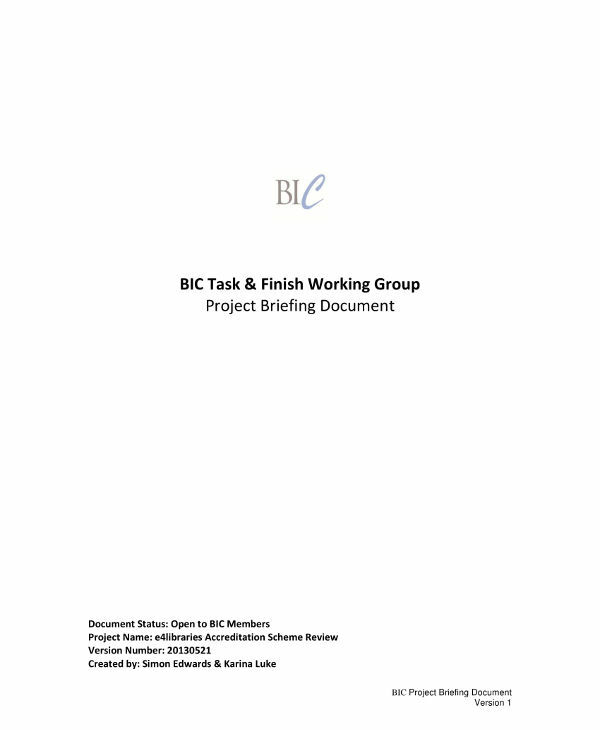 Making a project brief can ensure clients that they are well taken cared of by the entities that they are working with. A project brief can present the plans of the project team based on what the client wants to happen for the project. In this manner, clients can have an idea that their demands and desires are considered. However, this does not mean that project briefs cannot contain suggestions and comments from the project team especially if they think that there are some areas or parts of the project that are better to be removed, changed, or altered. You may also see event briefs. Your project brief must be complete for all the stakeholders of the project to fully benefit from it. If you can create a comprehensive project brief, you can easily specify all the information that are necessary to be known by the different people who also have a variety of involvement in the project. 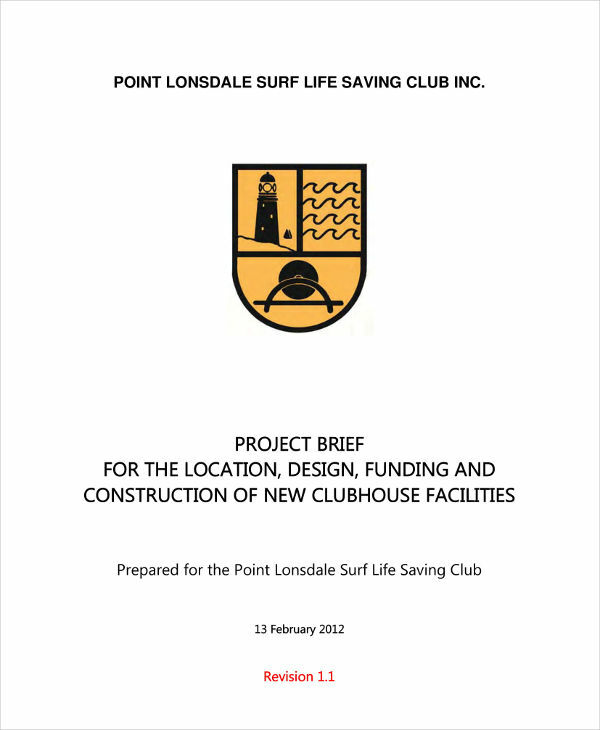 Listed below are some of the most important information that you must put in a project brief. 1. Prepare a short discussion of the critical factors for project success. It is essential for your project brief to discuss the metrics by which the project will be deemed successful. 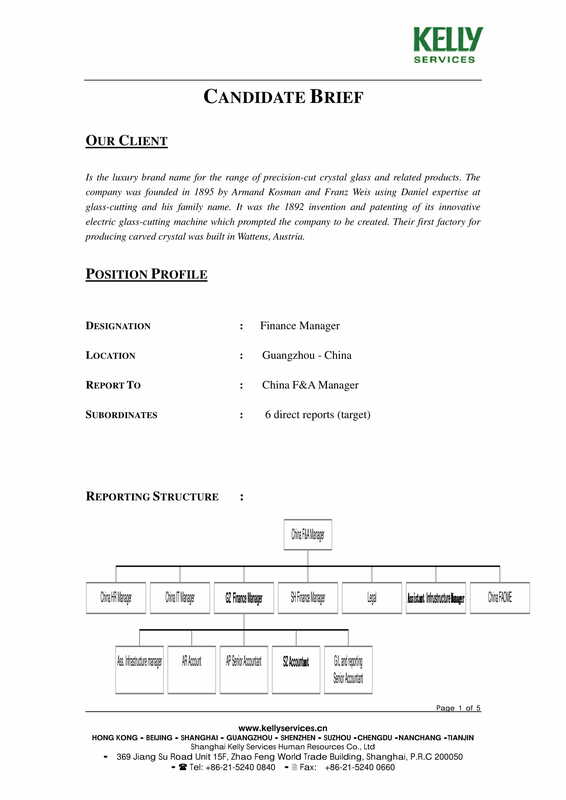 In this area of the project brief, you can include the timeline that must be followed by the project team, the expected deliverable of each stakeholders, the desired performance of the entire project team, and the major measures that will guide the development of the project to what is needed or demanded by clients and other key project players. You may also see client brief examples. 2. Create an overview of the project. You can include the objective that the project has or the output that is expected to exist once the project processes are done. An overview within the project brief must also answer questions on how the project can benefit its stakeholders and how the project can answer current problems, issues, and instances of concern. 3. Present the project in segments. The breakdown of the project in different areas and/or phases can make it easier for stakeholders to know how particular processes and activities can affect the overall project output. You may also see short essay. 4. List down all the key stakeholders for the project. Your project brief must present an organizational structure that can define the responsibilities of the workforce components of the project. 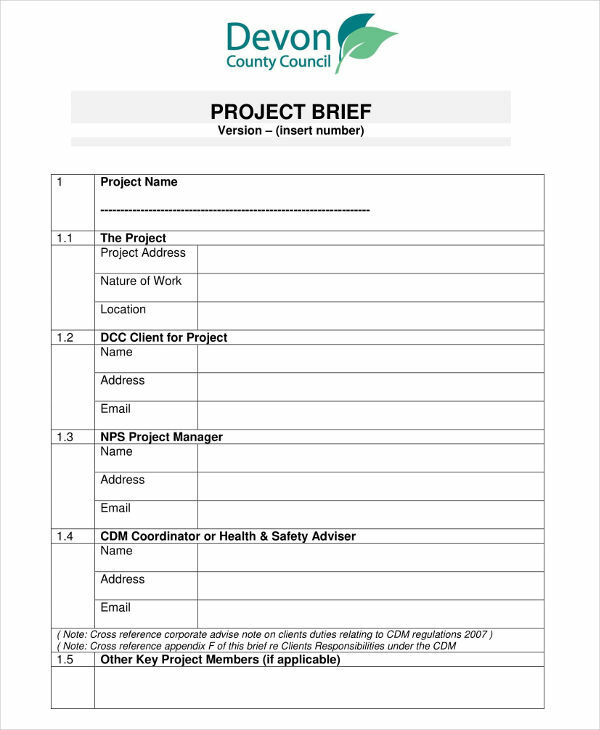 Each stakeholder must have their roles and responsibilities discussed in the project brief. 5. If necessary, you can have an area in your project brief where you will discuss the related projects that you are currently working on. This will clarify all the issues about the other programs, projects, or initiatives that you are also dealing with at the moment and how these processes can affect the development of the particular project where the brief is for. You may also see case brief examples. Have a short presentation of the company or the marketing agency where you belong. One of the ways on how you can get the trust of your clients is to give them an idea about the nature of your operations and the kind of marketing products and advertising services that you can provide them with. You may also see case summary examples. Make sure to discuss all the mandatory items and information that your client requested. 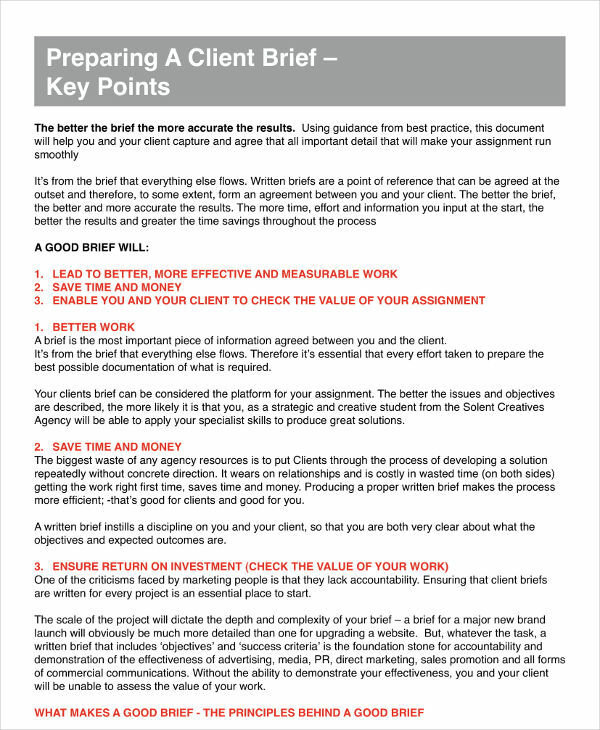 These non-negotiable items must be presented so that the clients can be aware on whether you can give them all of the requirements that they initially want to have. Aside from this, you can also present suggestions and recommendations that can make the marketing undertaking better both on your side and that of the clients. List down the minimum services and or products that are included in the marketing activities within the brief. The marketing deliverable must be relevant to the needs of your clients and it must fit with their requirements especially in terms of budget, reach, and branding. You may also see short proposals. Present the timeline that the marketing team will follow. There should be a specific discussion of the activities that will be done at particular time frames so that the clients will know the timeliness of all the marketing programs and initiatives that you will implement. You can create a general timeline or you can also present a variety of time frames arranged based either on the events of priority or the dates of the programs that you want to execute. Present the outline of the processes that you will follow to ensure that you will achieve the marketing deliverable that you have promised to your clients. An execution plan must be created so that you can present how organized you are when it comes to the planning and future implementation of the marketing activities for your clients. You may also see marketing strategy examples. Have a discussion on how the tracking of development based on your marketing plans will be made. Your marketing brief must include the details about the quality metrics that will be applied in all marketing activities. This will determine whether your plans and their execution truly benefited the client, its image, and its brand. Properly explain and elaborate the marketing initiative’s purpose. Allow your client to fully have a grip of what the offer is all about. You can also associate the reason why you have given them the particular kind of marketing brief so they can align your presentation with how they envision a particular marketing program or undertaking to be. You may also see annual reports. Know the budget that you will use for the marketing plan. Make sure that the breakdown of expenses will be presented so that misunderstandings about pricing and financial resource usage can be removed. You may also see marketing trends. 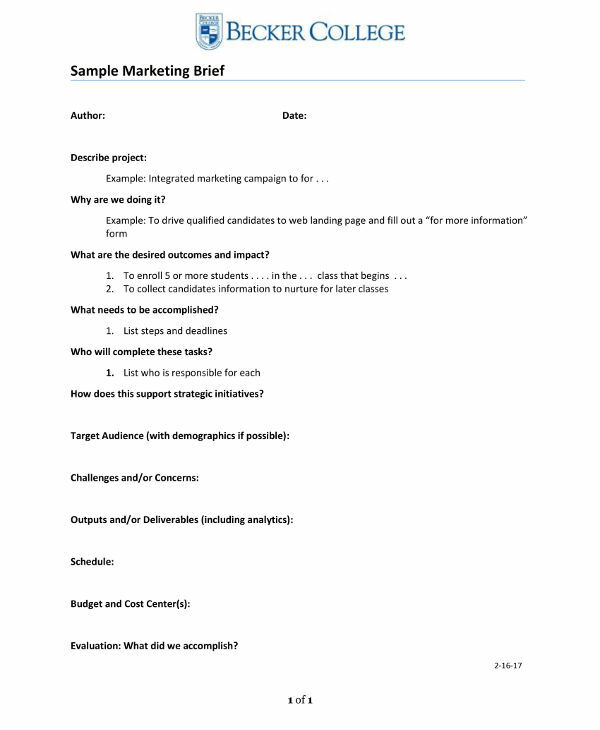 It is very important for you to include the market of the marketing activity presented in the marketing brief. The target audience of your initiative must be observed and studied accurately so that any programs will not be put to waste. If there are a lot of market segments that you plan to target, make sure that the client to whom the brief is for will be aware of it. You may also see marketing flow charts. 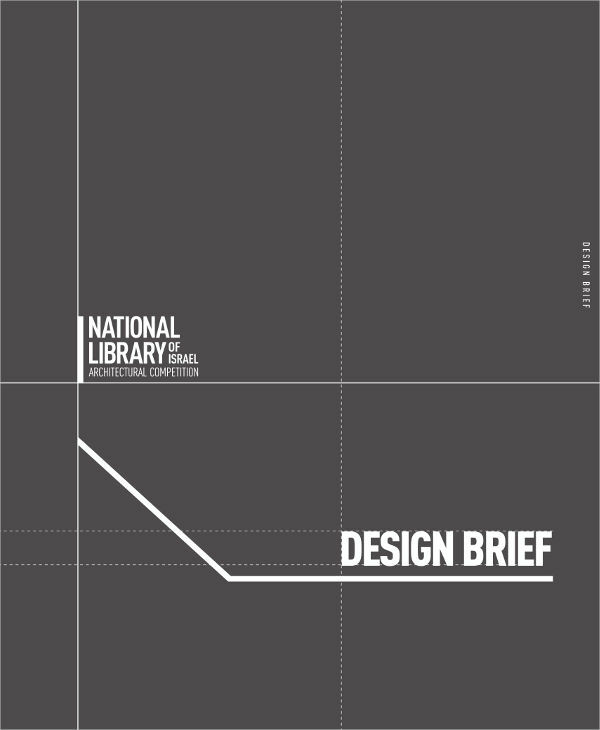 What Is a Design Brief and What Are the Details Found in It? 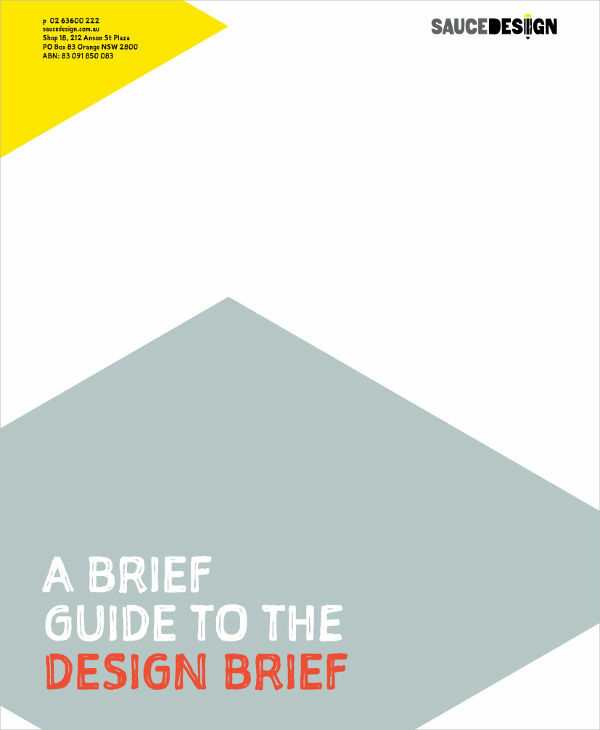 A design brief is less formal compared to a case brief. However, do not overlook the fact that this particular kind of brief can also be technical and tedious to develop. A good design brief is one that is done with the help and consultation with the design project’s client. For a design brief to work as an effective document, it must outline the scope of the design project and the deliverable that is expected for the design team to provide in a timely manner. 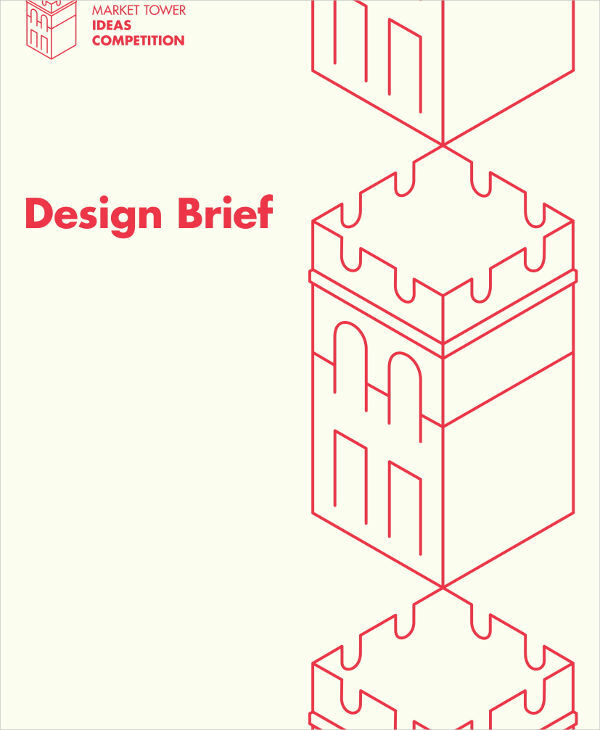 There are different kinds of design briefs that can range from interior design briefs up to industrial and architecture design briefs. However, there are some information that are usually expected to be included in any kind of design brief. 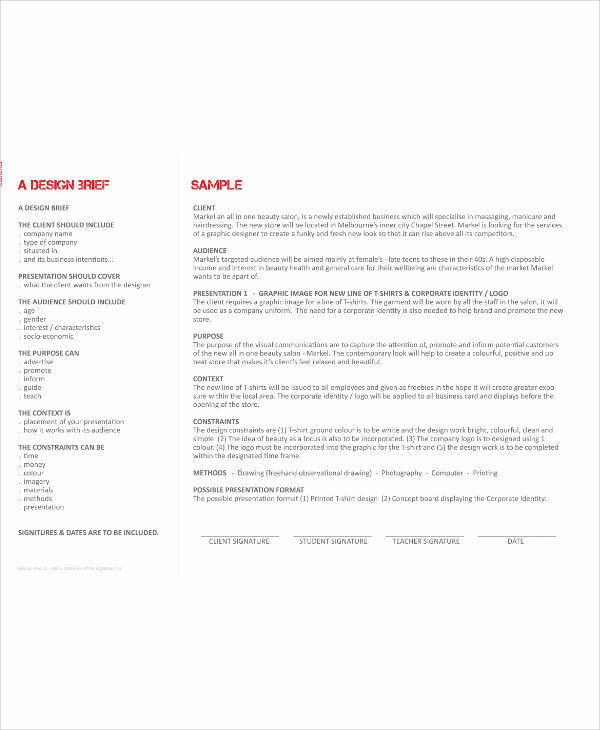 Listed below are some of the most common details that are found in a basic design brief. 1. Give an introduction of the design team who will handle the project. A few of your achievements, previous and known works, as well as the aesthetic that you are known for can be a great ice breaker between you and the client where you will present the design brief. You may also see activity reports. 2. The objective of the design project, which is to provide the expectations of the clients when it comes to the design that they would like to have may it be for an industrial space, an art project, or their home. 3. Present the budget that is needed for the design from the client’s end to be realized. Make sure that your design brief will have an overview of the kind of materials that you will use so that you can justify the price that you are charging your client with. You may also see technical reports. 4. Come up with a design schedule that is appropriate and acceptable depending on the kind of design activity that you need to fulfill and finish. It will be best if you can suggest both the starting and expected end date of the design project so you can set the expectations of your clients. 5. Have a presentation of the sense of the overall design or style that you are suggesting. Even if this part of the design brief can still be tweaked within the development of the transaction, it will still be best if you and the client are on the same page in relation to what you would like to achieve design-wise. 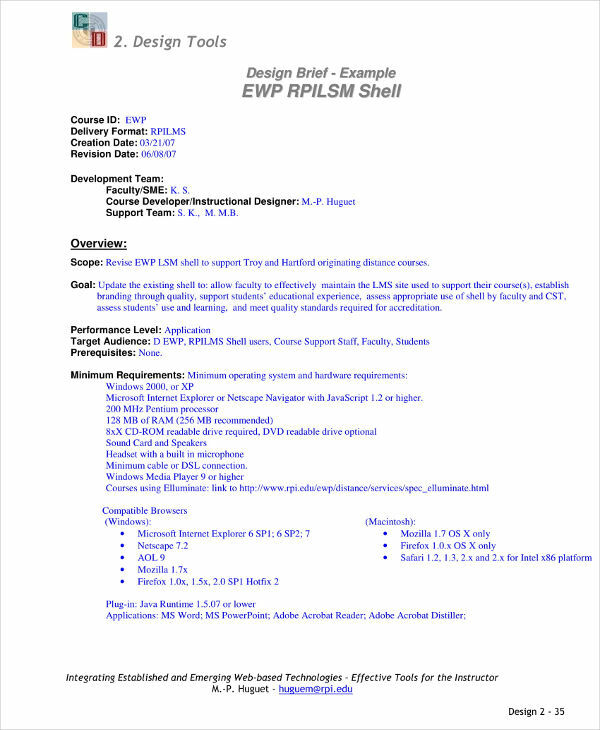 You may also see resume writings. 6. Have a precise and direct-to-the-point discussion about the project scope. There are certain limitations that you must incorporate in the transaction which will be based on the minimum deliverable that you should provide to the client. 7. Your design brief must also have a preview of the audience that you are targeting. Your audience must feel that the brief is really for them and that you have considered their aesthetic, artistic expression, and/or particular demands before creating the document. You may also see welcome speech examples. 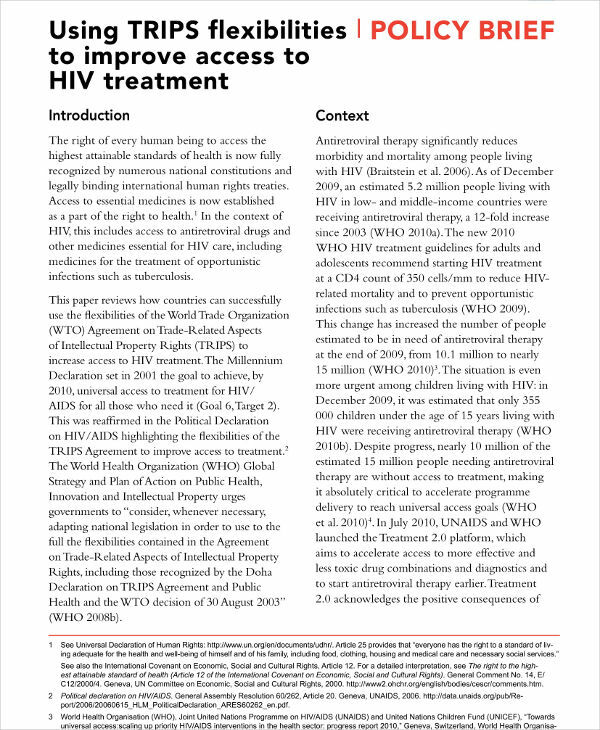 There should be a proper format and well-arranged structure when making a policy brief. Doing this can make the document look more formal and business appropriate. 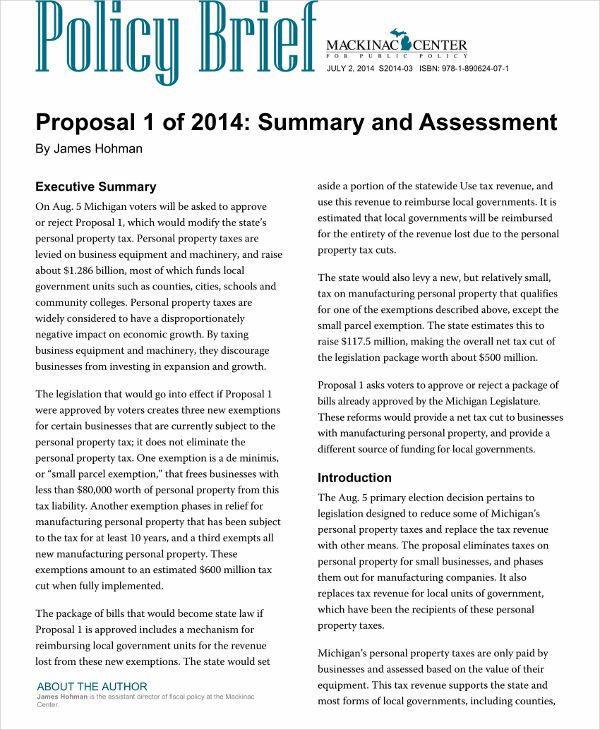 More so, having a clear layout can make the policy brief easier to understand. You may also see progress notes. 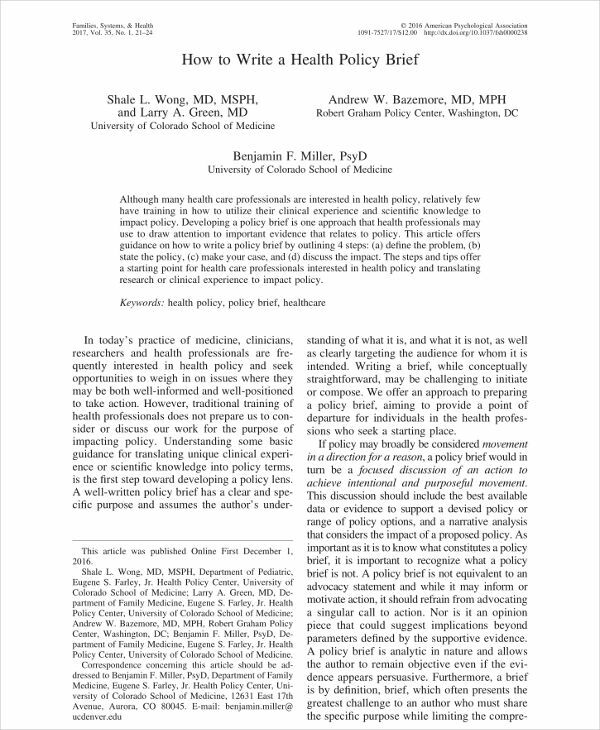 Set the language and tone that you will use within the discussion of the policy brief. You should keep in mind that the policy brief must be understandable. Avoid using confusing terms, jargon, and words with too technical meanings. If having these items are necessary, make sure that you will find ways on how to find them more related to your target audience. You may also see investigation reports. Present facts and figures if you plan to use the policy brief as a presentation or introduction of a new policy. There should be a clear line between your actual observations and the opinions that came either from yourself or the management. You may also see executive memos. Ensure that the brief is simple, precise, and concise. There is no need to make the document sound intimidating as this can only lose the interest of some of your workforce members. It will also be best to have a short policy brief so that it can be more memorable. Do not forget to consider your audience. 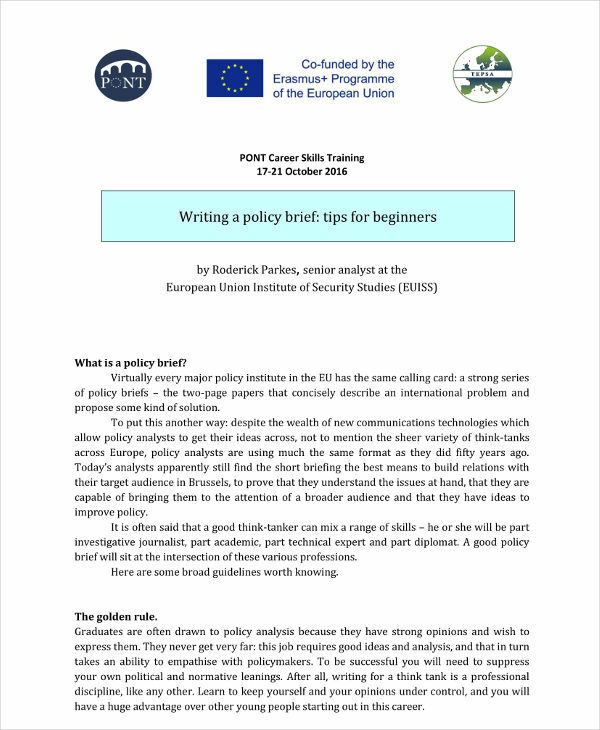 As much as possible, the policy brief must be objective enough that it can provide equal opportunities and consequences to all the members of the business or any person involved. You may also see report examples. Include call to actions when necessary. 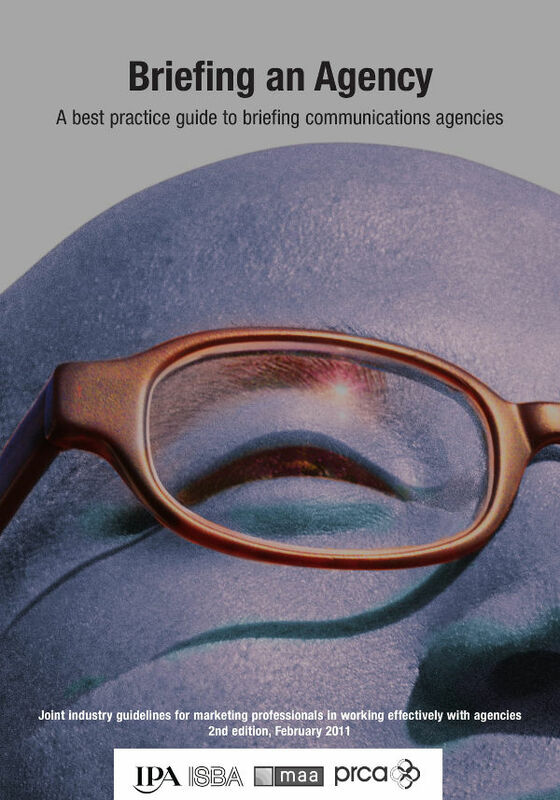 Your policy brief must contain all the things that your target audience needs to be aware of so that they can easily follow what you would like them to do. Have checklist examples that you will use as references from the beginning of the brief writing up to the evaluation and assessment of your final draft. Being guided by the arrangement of processes that you need to follow and the organization of the materials that you will use can help you have a more effective brief. Download existing brief examples that you can use as references. Make sure to have a guide that is the same with the kind or type of brief that you need. 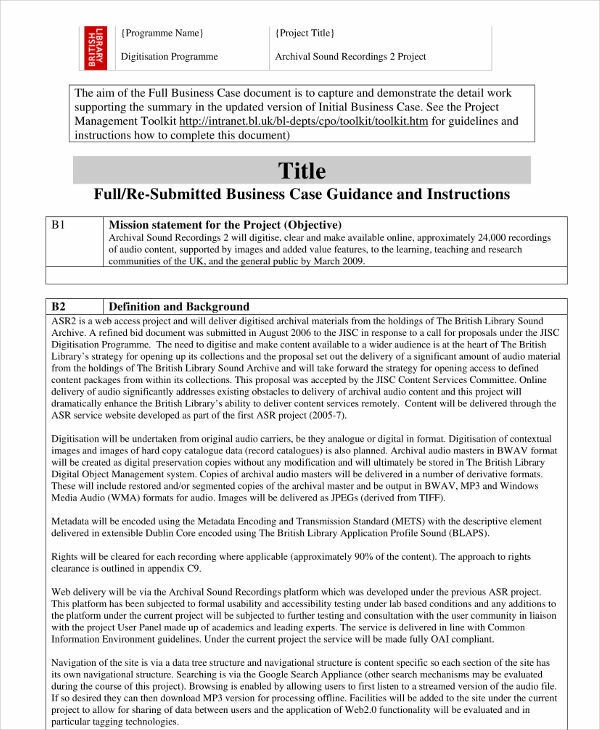 Even with the usage of examples and templates, it is still suggested for you to create a brief depending on the current demands or requirements of the situation where the brief will be most beneficial. You may also see concept statements. Focus on the things that you need to discuss and prioritize. Do not include unnecessary items in the brief as it can only result to the existence of misleading information, improper formatting, and unnecessary content. Being aware of what you need to present and what your target audience expects can help you have a brief that will surely work. You may also see short proposals. Know the kind of brief that you need to create and research on the information that are found in this kind of brief. You have to know the purpose or the reason why you need to create the brief so you can have an idea on whether you are leading the document creation in the right direction. You may also see self introduction essays. You can ask for the opinion of other people, like your teammates, before sending or handing the brief to your audience. This can give you objective and helpful insights that can further improve the final brief. Making a brief requires both your time and effort as you need to be precise with your discussion. Hence, you need to work with only the necessary details that are essential to be placed in one document. Even if there are challenges along the way once you start making a brief, it will still be to your advantage if you will try to develop one. 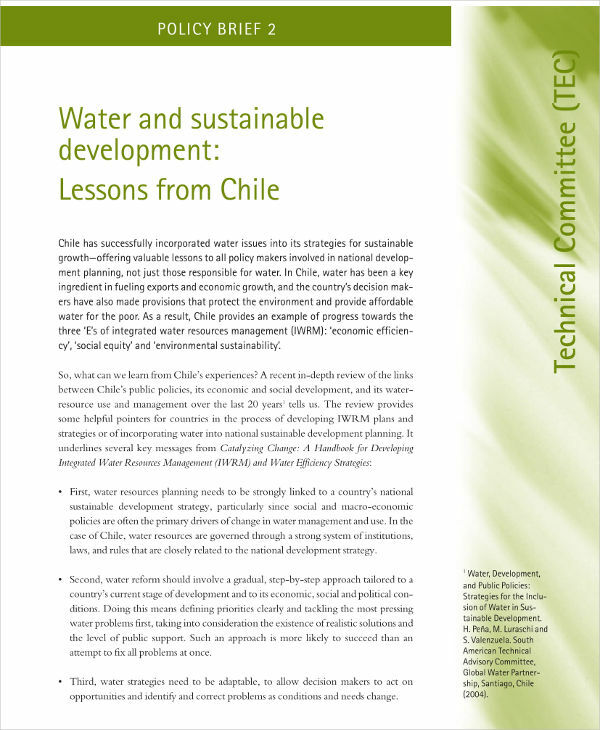 Be reminded of the discussion presented in this post and use our templates and examples. Through this, it is for sure that you will have a faster and more efficient time when writing a brief. You may also see minutes writings.